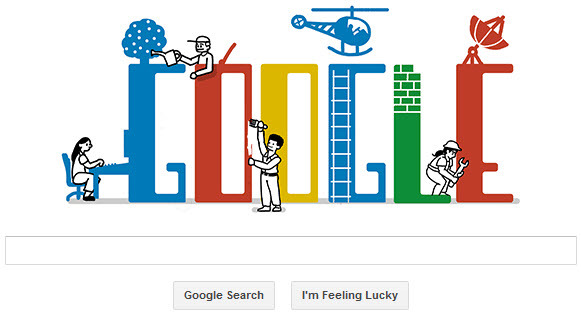 Google is celebrating Labour Day with a new google doodle on its homepage.This doodle shows the various cartoon characters doing jobs on google logo. International Workers’ Day (also known as May Day) is a celebration of the international labour movement. May 1 is a national holiday in more than 80 countries and celebrated unofficially in many other countries.However, Labour Day is not celebrated on the 1st of May in many countries around the world.